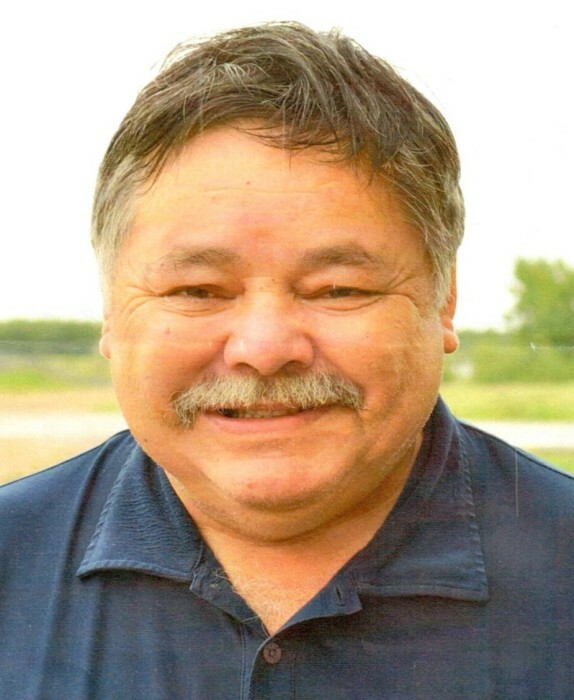 Fletcher James Greyeyes, late of Ahtahkakoop First Nation and beloved husband of Linda (nee: Dunkley) Greyeyes, passed away suddenly on Friday, April 5, 2019 at the age of 64 years. Fletcher was born on August 18, 1954 to Catherine and William Greyeyes in Spiritwood, Saskatchewan. The Wake Services for Fletcher commenced on Saturday, April 6, 2019 at 8:00 pm, from the Ahtahkakoop First Nation Band Hall. The Funeral Service followed on Monday, April 8, 2019 at 1:00 pm and Fletcher was laid to rest in the St. Mark's Anglican Cemetery. The honorary pallbearers were Sol Sanderson, Alex Ahenakew, Larry Ahenakew, Thomas Knife, Wayne Ahenakew, Gerald Ahenakew, Dwayne Ahenakew, Augustine Williams and Clinton Ahenakew. The active pallbearers were, Brooks Little, Aiden Greyeyes, Archie Waditika, Billy Greyeyes, Cody Greyeyes and Leslie Ursulak. Alex and Wayne Ahenakew shared memories of Fletcher and Bishop Adam Halkett officiated the services. Fletcher is lovingly survived by his wife Linda Ann (nee: Dunkley) Greyeyes; his daughter, Charity Greyeyes; his son, Devlin (Kristy) Checkosis; his adopted sons, Ron Ballantyne and Darius Hyman; his siblings, Sharleen Urusulak, Karen Greyeyes, Wendy (George) Lafond, Randy (Sandra) Greyeyes, Gerald (Debbie) Greyeyes; his grandchildren Adrien, Aislynn, Catherine, Samson, Rae Lynn, Torri, Alysha and Dylan; his great grandson, Xander; as well as numerous nieces, nephews and other relatives. Fletcher was predeceased by his parents, William and Catherine Greyeyes; his brother Vernon Greyeyes; his grandparents, Shem and Nancy Ahenakew. Family and friends wishing to share online condolences are welcome to visit www.beaulacfuneralhome.com Arrangements have been entrusted to Beau "Lac" Funeral Home, Tammy Smart, Director, Shellbrook (306-747-2828).